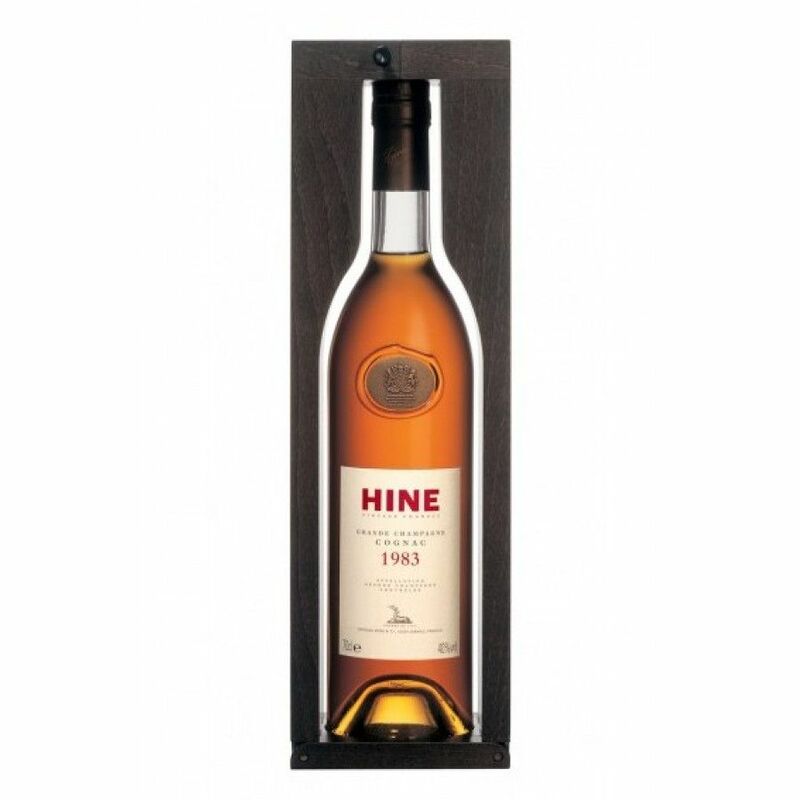 The Hine Millésime 1983 Cognac is a bespoke Vintage Cognac; not to be confused with the “Early Landed” version from the same house, which is also from the year of 1983. Aged in Jarnac from one single harvest, it comes from a year of particularly underrated cognacs and is an example of thorough craftwork and premium quality. We need only mention that this is a Grande Champagne great for you to understand its status; as a ‘premier cru’ cognac, the predominantly limestone soil of the gives it a quality that can be rivalled by few others. The purity of the soil within this region are what makes them worth waiting for, and creates cognacs that can only be said to master the art of total finesse. To reach full maturity, vintages such as the 1983 Hine Millésime are a great choice if you’re looking to indulge in the full experience of a cognac from this terroir. The price of this bottle of fine Cognac is at around 500 dollars and comes in a 70cl decanter which is at 40% ABV. For the most authentic taste experience of a vintage, it is best enjoyed neat or over ice. A pure Grande Champagne cognac. Thomas Hine, a British man who arrived in Charente in 1791 to learn the French language set a quality standard for exquisite cognacs across the region. At just sixteen years old, he arrived in France and worked for a cognac merchant as an assistant; it is probably his lifelong dedication to the craft that meant he is remembered as one of the cognac greats whose legacy pervades to this very day. Working in the realms of both England and France, the wine growing area of Hine is located in the heart of the Grande Champagne region on an estate of 173 acres, and yet stores their vintage casks in cellars belonging to John Harvey and Sons in Bristol, England. This trademark process has led to its ‘Early Landed’ cognac ageing in the most unique of ways due to the humidity of the warehouses, or the conditions of the portside town and the chalky coasts of England. Since six generations, the house of Hine has a special tradition of producing for quality rather than quantity, as Thomas Hine only ever wanted the best eaux-de-vie from his suppliers. The premium brand of Hine were awarded a Royal Warrant in 1962 for the Court of Queen Elizabeth of England, is to this day is the only cognac company with such a title.